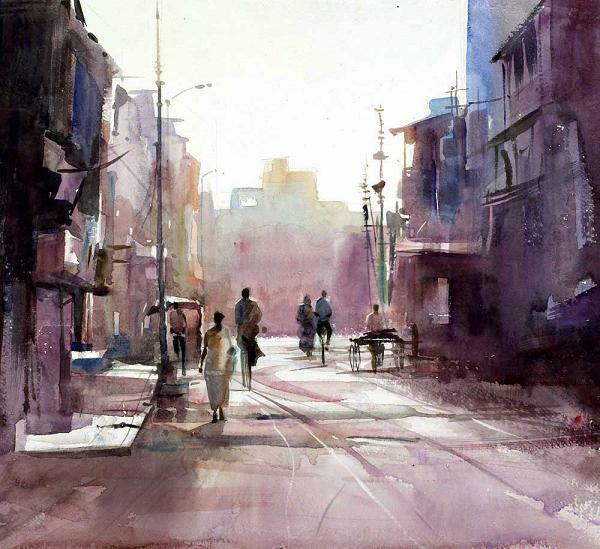 Milind Mulick is famous for his amazing watercolor paintings. He was born into a family in India and his father Pratap Mulick who was a famous painter and illustrator was his true inspiration. 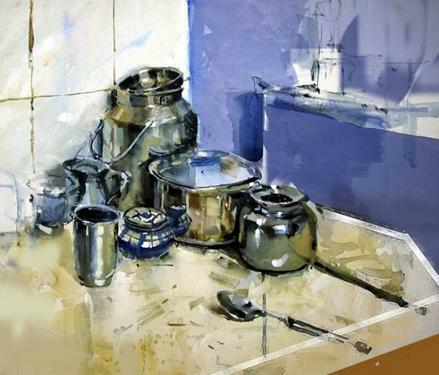 His artistic abilities were finely polished from his family environment. 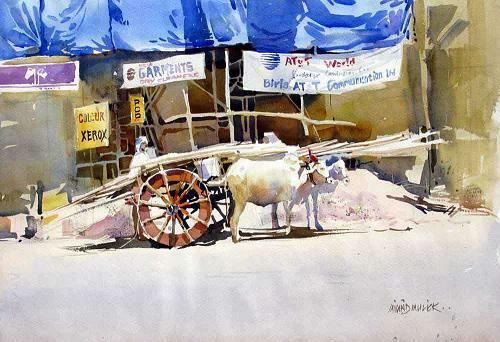 He just entered into the world of watercolor at the age of five and gradually he became a skilled artist in this platform. Even though he received the government scholarship to study art, he decided to study engineering. 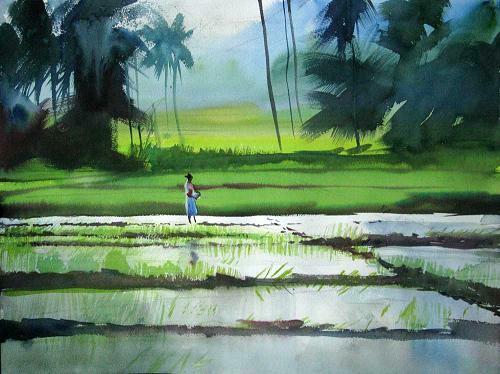 But after pursuing his studies, his mind was again inclined towards the field of art. 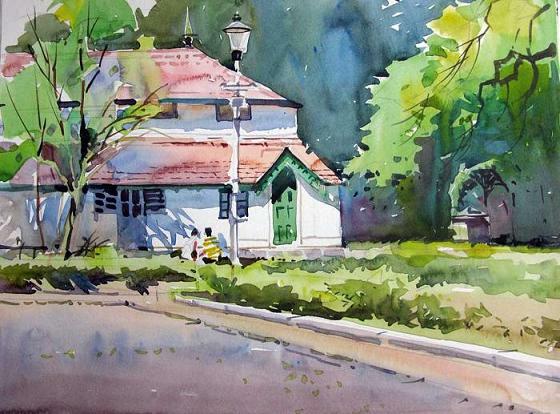 Milind mulick watercolor paintings are known for its appealing beauty and simplistic technique. He started doing commercial illustrations and designs. 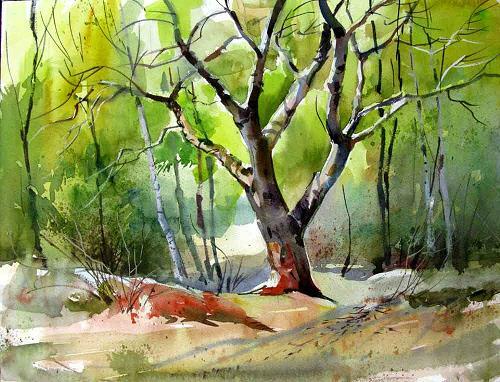 He is known for his landscape watercolor paintings. 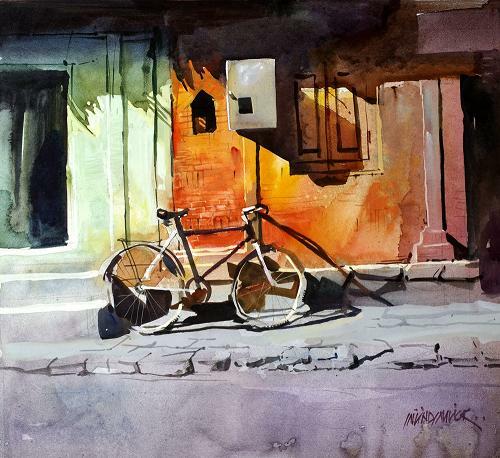 For more art works, visit Milind Mulick’s website. Hello, my name is Aleks Plewinski, I am a student at Albany Senior High School, New Zealand. I like to eat canned peaches without a fork/spoon because I’m weird, thanks. 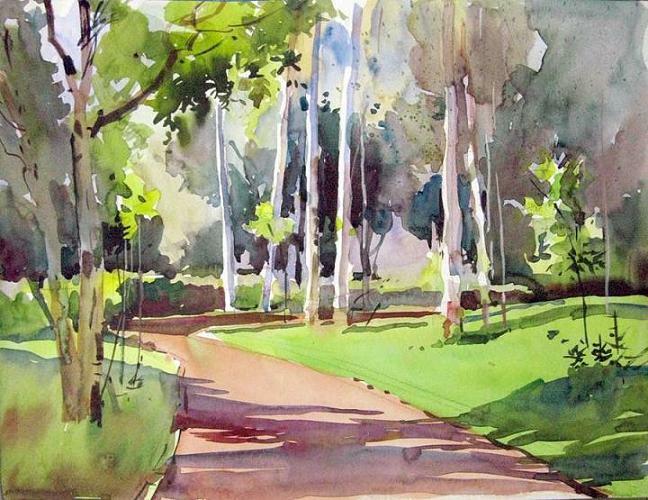 I like your work there is a deft and colour&light/shows perspective in your every painting. जलरंगातील आपले काम अगदी अप्रतिम!!!! माझ्या मतानुसार भारतीय चित्रकलेत जलरंग माध्यम अत्यंत सहजपणे ,जिवंतपणाचा आभास निर्माण करीत हाताळणारा दूसरा कलावंत आपल्याशिवाय नाहीच!!! धन्यवाद सर. Your work is super and profishanal master work. I reeally ⅼike what уоu guys ɑгe up too.